Have you ever wondered why there exists famines in the world; or the wars in the world; the existence of genocide based on gender and race; or any kind of crimes against humanity and nature? The Atheists and the Satanists would like to say, how can a “Loving God” allow for all this to exist? He would get rid of it, or is He really loving, if He allows for them to exist. It is for the very verse above. God tried the forcing Himself upon humanity, which is what led to His Destruction of Man through floods and fire in times past. However, He saw that it did not work. Man continued to sin. Why? Because of the verse above. The verse above also explains why Adam and Eve fell into sin (which led to human beings being born as sinners after them), and fell prey to Satan’s temptation in the Garden of Eden. This is why God had another Plan, to which Satan did not see coming, in order to bring Humanity back to Him, and reestablish Humanity’s direct link back to Him. God, the Father of Creation, not only sent His Son to become the Sacrificial Lamb, who Blood was shed for the protection of Humanity against Evil, but through Jesus Christ, He gave us the Life Example as to what He expects, in order to enter His Presence, in His Throne Room. God no longer forces Himself, but after Jesus Christ died on the Cross, He gave us the final chance to have the CHOICE to CHOOSE to follow His Divine Laws of Love, or not. However, evil will try to distort God’s Divine Laws of Love, in order to pull as many of God’s most prized creations away from Him. Through the 7 deadly sins of : Lust, Gluttony, Wrath, Envy, Greed, Sloth, and Pride, evil twists God’s Truth. The Bible verse above tells us as to how evil will try to twist this truth. Those who do not seen their own sins, or are not able to recognize when evil is in their midst, it is because they are blinded by their own sins, and their lack of being able to bring it to the feet of the Father in repentance for them. The Bible verse above explains how Mankind ALLOWED for all of the atrocities of the world to exist, by following evil and its ways. They have justified their own survival at the cost of other fellow Man, and propagated evil and its ways. Evil will fractionate the truth, in order to hide the real Truth behind the Divine Laws of Love. This is why God states that faith is a gift by Him, and He gives it to those who seek faithfully, and the Holy Spirit will guide those that He has found fertile or worthy enough ground to take root in. God’s Truth to the Eternal Paradise will be given to those found worthy, even though it is OFFERED TO ALL to find, and to be found worthy of. Jesus died for ALL OF MANKIND to have the chance to choose, however few will choose it for the sake of falling prey to evil’s temptations for earthly riches and comfort. When one has the Holy Spirit within him/her, they will see that they will be persecuted….ridiculed…..hated, despite the truth that they know. Despite not doing any wrong themselves, they will be persecuted. For the very reason of the title of this entry. Evil will hate anything that comes from Divinity, because Satan and his demons had fell completely out of the graces of Divinity, while he saw that humanity had not YET completely fallen out of the Graces of God, the Father of Creation. Satan will try to convince humanity that God, the Father is a merciless God, and that He is the one that is deceiving Humanity. In the end, we have the choice follow unconditional love, mercy, and forgiveness; or to serve our selfish ways for earthly gain. There will come a time where humanity will not be able to determine what is right or wrong with their own human logic, and will require a Divine Guidance to help them determine what is right or wrong. So, how strong is your faith these days? How strong is your relationship with God, the Father of Creation? Have you truly understood what Jesus Christ did on the Cross, on that day at Calvary? If you have, then you will understand why it is important to apply the Blood of Jesus Christ everyday to yourself and the loved ones in your life, to protect yourself from evil, just as they did in the days of Moses, when the lamb’s blood was applied to the doorposts of the Jews, to protect them from the Angel of Death. Keep on struggling on, brothers and sisters. Keep on seeking the Kingdom of God, the Father of Creation; and the Truth behind Jesus Christ and His Death on the Cross. Keep on seeking how to abide by the Divine Laws of Love, then God with the Holy Spirit, will help you to discern the deception of evil. Satan’s time is running out; he knew that once he saw Jesus Christ, (Yeshua, Yeshuay, Yeshu Christu) dying on the Cross at Calvary, and when it does, all the injustice that occurred to God’s Chosen will bow down to Jesus Christ, as the Son of God, and a Member of the Most High Court….the Courtroom of God, the Father of Creation (Devum, Yahweh, Jehovah). This entry was posted in Thoughts and tagged 7 Cardinal Sins, Armor of God, Battling Evil, Certainty in the Divine Laws of Love, Conditional Love professed by evil, Devum, discernment, Divine Laws of Love, DIVINE LOGIC, evil ways are temporary, Faith, Fight over souls (good vs. evil), God's Love, God's ways are permanent, God's Wrath, Good vs. Evil, Guidance by the Holy Spirit, Holy Spirit, Jehovah, Jesus, Jesus and His Crucifixion, Jesus Christ, Justice for "the Just", Listen for God's Call, Overcoming Trials through the Holy Spirit=God's Divine Tools for Ministry, Path to Truth, Persecution, Refiner's Fire, Satan's deception, SELF LOVE vs. SELFLESS LOVE, Self Refinement, Seven deadly sins, Spiritual Battles, Steadfast Faith, Take up your Cross, Trials and Tribulations, Unconditional Love professed by divinity, Yahweh, Yeshu Christu, Yeshua, Yeshuay on August 23, 2018 by foodforthespiritualsoul. The faithful in God, the Father of Creation, has to undergo what Jesus Christ has commanded, and that is to “to take up your Cross, and follow Me.” If we look at the many Prophets that walked before us, they all underwent earthly suffering and trials. Why? Because God, says His Ways are not of the world’s but are beyond them. And if He says that His Divine Laws of Love are not of the ways of this world, then that means we, as followers of the Divine Laws of Love, and His Son, Jesus Christ, we will have to go against the grain of this world, in order to enter the gates of the Eternal Kingdom. This is something pretty hard to swallow, I know. However, we must consider, if Jesus Christ was not exempt from the world’s ways, the trials, anguish, and tribulations, who are we to be exempt from them? Are we any better than the Son of God, the Father of Creation? Are we any better than the many great Prophets that walked before us, dedicating their lives in service to God, the Father of Creation? This is what Jesus Christ meant, to take up your Cross and follow me. As followers of the Divine Laws of Love, which are the ways of the Eternal Kingdom, we will having to endure anguish, trials, and tribulations. Ever since rebellion against the Father of Creation was created between humanity and Him, we will be in that constant battle between what was originally meant to be ours (as a part of humanity) and what evil wants us to be distracted with, which is being away from God, the Father of Creation. The trials and anguish are the tools that evil tries to use to bring you away from God, even to the point of hating Him. Evil wants to portray its “easy, happy, earthly rich and powerful, rebellious ways” as the most ideal, in order to distract humanity away from the Eternal Kingdom. We, as humanity were never meant to live the way we are living today. That is not how God, had originally created for humanity to be. The trials and anguish is what evil uses to take humanity away from God. It is through the trials and anguish that we turn to God, the Father of Creation, and defeat satan and his demons, as well as their rebellious ways. Hardships, anguish, and trials is what puts God’s Faithful through the “Refiner’s Fire” to break them away from the world’s ways to which He says His Ways are not a part of. Ever since the first sin of humanity was committed in the Garden of Eden, humanity has been chained to the ways of this world, which belongs to evil and its ways. Jesus Christ, as He did when He roamed this Earth, stated for us to, “Take up your Cross, and follow me.” However, we must unchain ourselves from the ways of this world, in order to be found worthy to enter the pure gates of Heaven. God, the Father, does not force his ways on us, they way evil does. He wants us to CHOOSE Him. He wants us to see that He love us, because He never gave up on us as His Children….His most prized creations. Despite the rebellion of humanity, He still sent His Son, Jesus Christ, to give humanity another chance at the Eternal Paradise This is what angers satan and his demons. They were thrown out, and not given another chance; while humanity was given another chance through Jesus Christ, His Son. God, does not leave us, it is a matter of acknowledging His Presences within our lives. It is truly as simple as that. But we must understand that not all earthly triumphs are not in conformance to God’s ideals. We must understand that not all of what is considered, “good” is in conformance to God’s Ideals, and in conformance to those within His Eternal Kingdom. Not all that is considered beautiful is not in accordance to the beauty in the Eternal Paradise. As a Father, He loves His Children. Evil was to convince us of the opposite. He loves us to the point of knowing our potential, of knowing of the greatness He knows He created for us to be. We must have confidence of this, even through the trials, anguish, and hardships that we face on this earth. This is what Jesus Christ showed us through His Life and Death on the Cross. Since the time of His Birth on this Earth, Jesus Christ was persecuted. Since the time He began His Ministry, He faced opposition, despite knowing who He was, and knowing that He was correct, despite the earthly people that were chained to the earth’s ways, were trying to dictate to Him, as to how He should believe and live. He bowed down in service to sinners, outcasts of this world, poor, and criminals, even though He was a Member of the Most High Court. Just like us, He too underwent the temptations of satan, while He roamed this earth…By facing satan and his demons, by turning to God, with each of these things, more and more trials and anguish were thrown at him, by satan and his demons. To the point of being convicted of a crime He did not commit, received the sentence for it, which brought death to His Earthly self. Jesus Christ still turned to God, the Father, despite all of this. God went to the extent of saying that His Ways are not of the world’s ways but are beyond them by showing us through the earthly life and death on this earth. He did not give Jesus Christ, an earthly rich life, free of earthly trials and hardships. In fact, He gave Him some of the toughest trials to endure, to show us that He was still with Him, just like He will still be with us in all. He loved us to give us the opportunity to choose the greatness that He had originally created Humanity to be. We must have that confidence that God, loves us. Our triumphs are because of Him….our trials are with His Permission, in order for us to unshackle ourselves to what evil wants us to be shackled to….its ways, so that we will never know of the greatness that God, the Father of Creation, had originally created humanity to be. But we are called to endure trials. If we are not enduring trials, then it is when we should consider, is there a storm coming, or are we really focusing on our Eternal Paths. Spiritual journeys are filled with trials and hardships, in order to refine ourselves back to the original greatness that we were created to be. This is were true love between God the Father and His Children will develop. 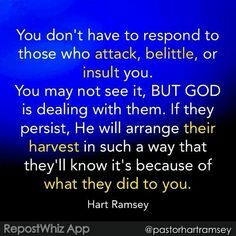 This entry was posted in Thoughts and tagged Armor of God, Battling Evil, Devum, discernment, enduring the trials, enduring trials, evil ways are temporary, Fight over souls (good vs. evil), God's Love, God's Promise, God's Unconditional Love, God's ways are permanent, Good vs. Evil, Guidance by the Holy Spirit, Jehovah, Jesus and His Crucifixion, Jesus Christ, Jesus Christ the Ultimate Symbol of Unconditonal Love, Overcoming Trials through the Holy Spirit=God's Divine Tools for Ministry, Path to Truth, Refiner's Fire, Self Refinement, Spiritual Battles, Steadfast Faith, Take up your Cross, Trials and Tribulations, Turn the Other Cheek, Unconditional Love=Divine Source, Yahweh, Yeshu Christu, Yeshua, Yeshuay on July 23, 2018 by foodforthespiritualsoul.